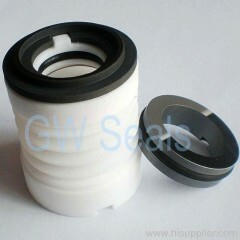 This Teflon bellow filter seal is in 25mm shaft size, used in filter pumps for plating and metal finishing system. A new seal assembly should be installed any time the old seal is removed from the pump. Do not attempt to separete the rotating portion of the seal from the shaft sleeve when reusing an old seal. The rubber bellows wll adhere to the sleeve during use and attempting to separete them could demaged the bellows. Afirm resistance will be felt as the impeller presses the statioanry seat into the seal plate bore. 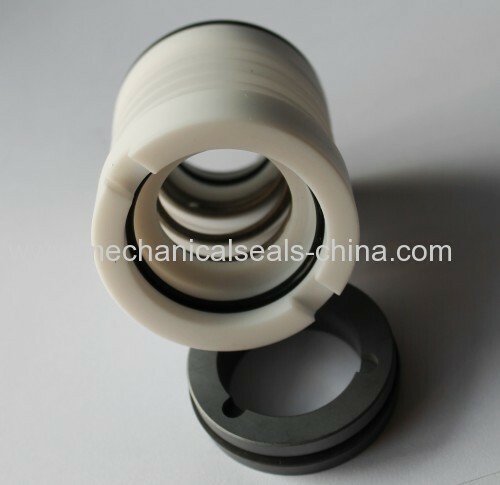 As the statioanry seat becames fully seated, the seal spring compresses , and the shaft sleeve will break the nylon shear ring.